We all want more time to relax, and whilst working in the garden can be very therapeutic, there’s one garden task that may seem like it always needs doing…mowing the lawn! However, this is a key part of maintaining a healthy and picture perfect garden, with the RHS recommending you mow the lawn twice a week during the summer months. This may seem like a big commitment to those of you leading busy lives so STIHL have the perfect garden partner, who’ll do all the hard work for you! Introducing the VIKING iMow! 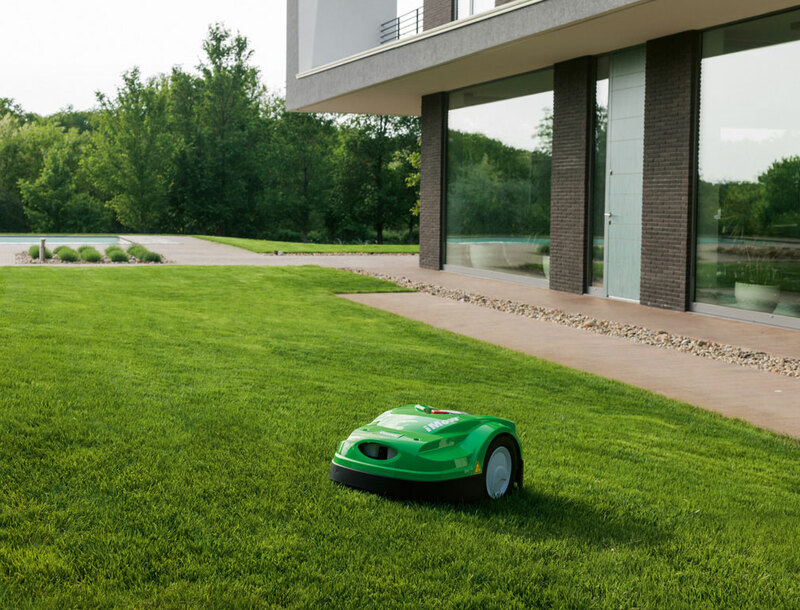 Our range of robotic mowers will automatically maintain your lawn without you having to lift a finger or even empty a grass bag! But there is so much more to your little robotic gardening assistant than meets the eye. If you’re after perfectly manicured short grass but don’t have the time to regularly mow and care for your lawn, having a robotic mower can leave you with an outstanding looking lawn all of the time, without having to lift a finger. iMow is a mulching mower, so not only does it cut the grass automatically at the times you plan it to, it drops finely shredded grass cuttings back into the lawn as a nutrient rich fertiliser. So not only will your lawn be easier to maintain, it’ll also look more lush and be healthier, so you can sit back, relax and enjoy the benefits of a beautiful garden. 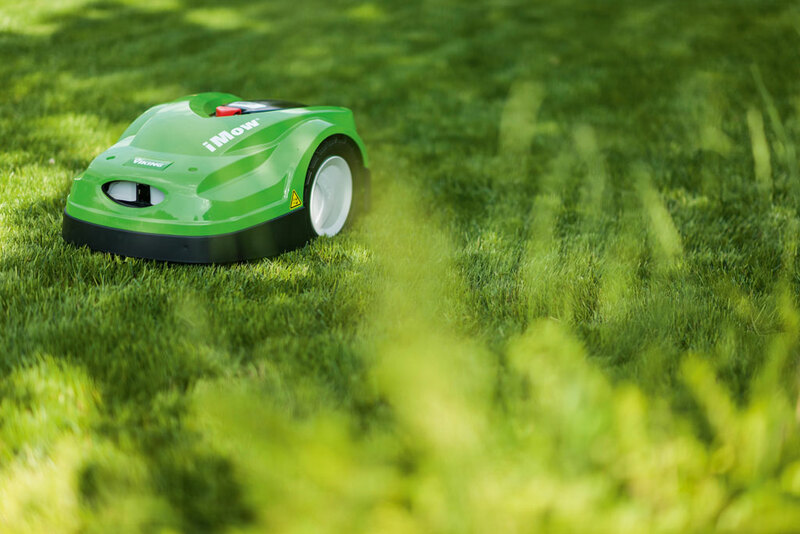 Our robotic mower may look compact, but it certainly doesn’t compromise on power. Our range can cover areas from tennis courts and areas up to an acre in size, as well as being nimble enough to navigate around obstacles, trees, ponds and sheds. The perimeter wire ensures the iMow doesn’t go into areas you don’t want it to, and it’s nifty bump sensors will navigate away from any stray obstacles left on the lawn. For those of you who have a paved perimeter to your lawn, the iMow will be able to mow right up to the edges. It can even tackle small hills and inclines! If you have walls or flower beds, the iMow will leave a small border which can be easily trimmed with a grass trimmer. 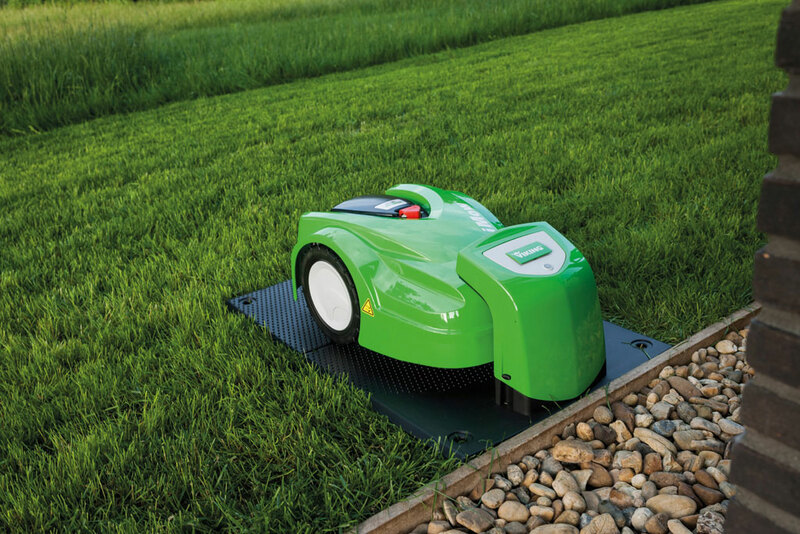 When considering a robotic mower, there are a few things to bear in mind. You’ll need to consider where to place the vital docking station – your iMow’s home for charge and rest. This needs to allow the iMow easy access to the lawn, and while the mower is capable of crossing rough terrain, it’s advisable to try and minimise this if possible. We also recommend picking a quiet spot away from children and pets, as they might potentially interfere with the mower. But don’t worry, our dedicated iMow Approved Dealers will be able to answer all of your questions, advise on the best iMow for your garden, a suitable place for it to recharge and how to best set-up the perimeter wire for maximum results.